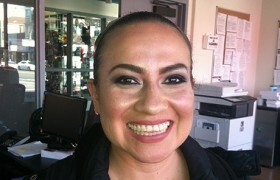 Ana emigrated from El Salvador eight years ago, dreaming of a better life. Today Ana Acosta and her toddler, Daniela, were awarded the keys to a below-market-rate (BMR) one-bedroom apartment at the new Alice Griffith development at Candlestick Point. 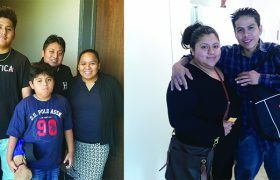 With the help of MEDA and MNHC, siblings' families are now in a below-market-rate (BMR) apartment rentals in Dogpatch and in Mission Bay. Both are brand-new developments featuring many amenities. 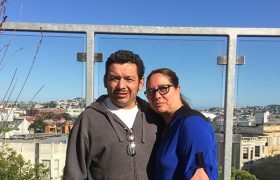 Surviving 22nd and Mission fire, the resilient Flores family won a lottery for a BMR apartment in San Francisco. 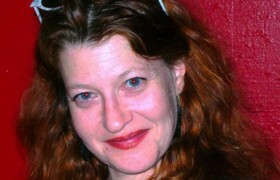 "When we got the call that MEDA had become the new owner of 1411 Florida, we breathed a collective sigh of relief. Our family is very grateful to MEDA for their support...I also want to add that a week after hearing the good news, we received a letter stating that we were selected for a BMR." 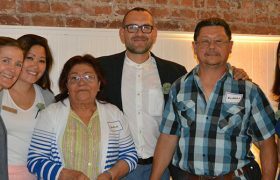 With the help of a MEDA Housing Opportunities Coach, Julio and his family averted eviction and found a new home in a Mission BMR rental. 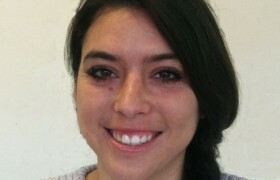 Bourne-Ruiz originally came to MEDA seeking homeownership opportunities. Although she didn't qualify for a mortgage loan, she was able to avoid eviction with MEDA's help, and she won the lottery for a BMR rental! 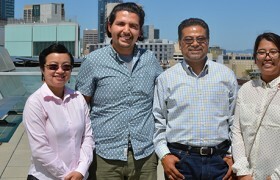 With the help of MEDA’s free Housing Opportunities program, coupled with revised guidelines and qualifications from the Mayor’s Office of Housing and Community Development (MOHCD), a family of four was able to buy a home in Outer Sunset. In San Francisco. 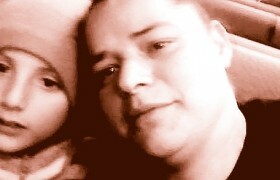 As two teachers. 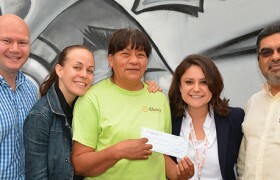 “The case of El Gran Taco Loco exemplifies why MEDA started Adelante Fund. 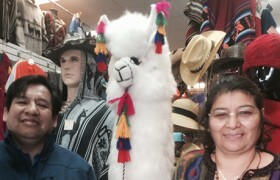 Saul and Angelica had suffered a tragedy, and these hardworking entrepreneurs had been denied a loan. They deserved the opportunity to get back on their feet." 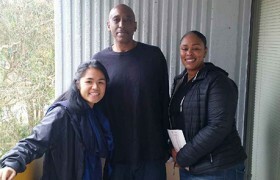 Ernest moved into a newly rehabbed, affordable unit in his complex, thanks to the partnership between MEDA and BRIDGE Housing. 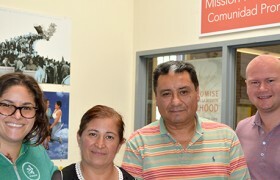 "Juana and Raul were the perfect candidates for a Community Loan Fund. 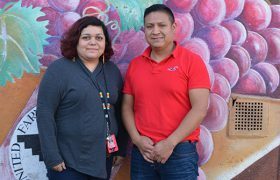 They are a community-serving business looking to grow and, once sales increase, they want to create jobs in the Mission..."
After getting laid off, Claudia met with a MEDA Job Coach at the Culinary Job Fair who helped her land a new job. 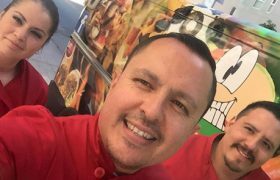 A local catering business had its small-business loan officially funded, courtesy of a $100,000 loan from MEDA’s innovative Adelante Fund. 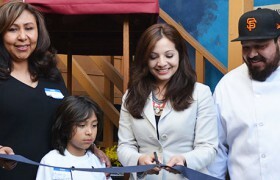 El Buen Comer, a seven-year-old gourmet catering company that started in a home kitchen and is now expanding into a full-service restaurant, received a $35,000 loan from MEDA’s new Adelante Fund. 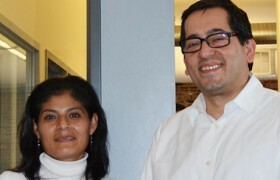 Laurie and Maged received a $2,585 refund after using MEDA's free tax preparation service. "Not only was I able to develop technology skills of which I had no previous knowledge, but I was able to sharpen my public-speaking skills, job readiness skills (resume, references, elevator pitch, etc. 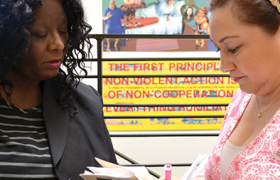 )...and attend financial capability workshops." A lottery was conducted for below-market-rate (BMR) units at 1400 Mission, a 100 percent affordable-housing development. There were 167 residences for 355 hopeful entrants. 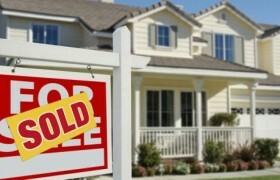 There were 33 MEDA Housing Opportunities program clients picked! 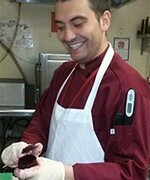 MEDA's free Workforce Development programs helped Santos land a job. 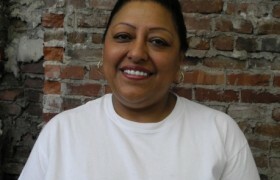 MEDA assisted Ada in landing a new job after her place of employment of ten years burned down in the Mission. 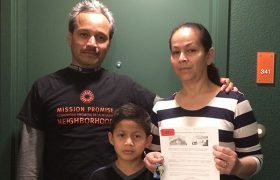 Single mother Ana Alfaro made the difficult decision to leave her native Guatemala with her son, Jose, with the hope of a better life for her small family. 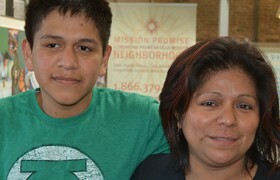 A referral to Mission Promise Neighborhood has brought her closer to her dreams. De De came to MEDA to get free tax preparation, but walked out with a budget, improved credit score and money in her savings account. "...Having been referred to MEDA by Episcopal Community Services, I am grateful for their hard work and dedication to helping me find stable employment and, of course, all else who are in need." 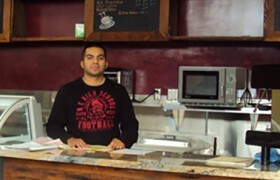 Victor came to the US with dreams to open a coffee shop and restaurant. 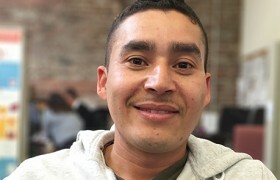 Through MEDA's workshops, one-on-one coaching and connections to capital, Victor's entrepreneurial dreams have come true. "I learned about MEDA at a job fair and attended their next orientation later that week...After only two weeks, I was able to secure full-time employment..."
"I am very happy because I had nothing before coming to MEDA. Mr. Robert Lopez not only helped me with my resume, he also motivated me..."
Edwin came to the U.S. From El Salvador just four years ago. 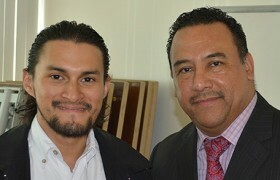 With MEDA's help and his hard work, Edwin has turned a hobby into a full-time tech industry job. Maria always had a dream of starting her own business. MEDA's help and her passion turned her dream into a reality. 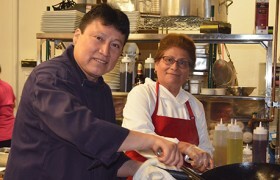 Peru native Yeral went through MEDA’s free Business Development program and now owns two restaurants. 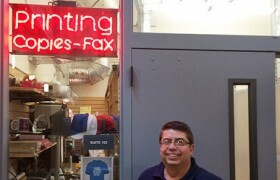 After taking MEDA's free Business Development workshops, getting one-on-one coaching and a grant from MEDA, Danilo was able to open his own print shop in El Mercadito. 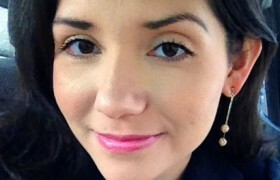 As a youngster in her native Honduras, Evelys Alvarado never imagined she would one day be teaching computer classes in the United States. 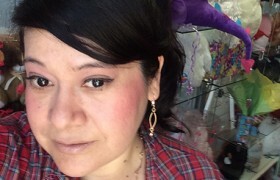 Jessica was able to open her own business in El Mercadito, MEDA's Mission microbusiness incubator, after taking free Business Development workshops and receiving one on one coaching from MEDA. 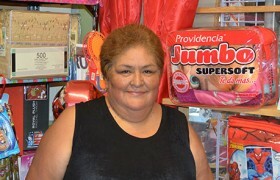 After participating in MEDA's free Business Development Program, Carmina was able to open her own store in El Mercadito, located on the first level of Plaza Adelante. 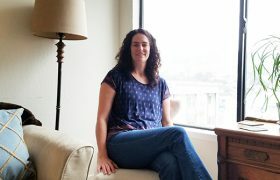 Alessandra came to MEDA because she was frustrated by the seemingly daunting task of obtaining full-time employment in San Francisco. 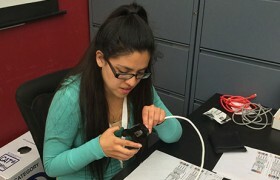 After attending MEDA's Job Readiness Program, she landed a job. “I never imagined that I could make my dream job come true by opening my own dog walking business,” says Diana Mondragon, a dog lover from Mexico. 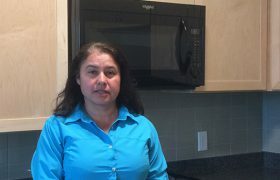 Elizabeth, a self-employed immigrant from Peru, was having issues with her mortgage . . . until MEDA came to her rescue. Mei and her husband were interested in purchasing a home in pricey San Francisco. 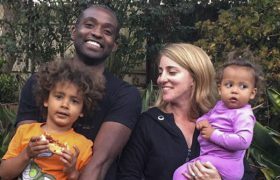 They recently started a family and wanted a permanent place for themselves and their one-year-old son. 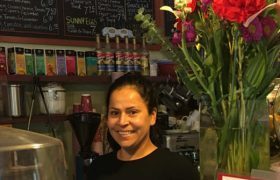 Zenaida, an immigrant from El Salvador, came to MEDA for help developing a catering business, and now she owns a restaurant! How has MEDA Helped You? Are you one of the thousands of clients MEDA has helped achieve family economic success? If so, we’d love to hear your story!